Please scroll down to fill out the customization form! Please upload your logo. Files we accept: PDF, JPEG, PNG, EPS. For best results, resolution must be 300 DPI or higher. ​Please upload SIDE B of your 6"x11"postcard. Artwork must be camera ready. Files we accept: PDF, JPEG. For best results, resolution must be 300 DPI or higher. Please upload SIDE B of your business card. Artwork must be camera ready. Dimensions: 2.25"x3.75" Files we accept: PDF, JPEG. For best results, resolution must be 300 DPI or higher. We apologize, we don't accept American Express. 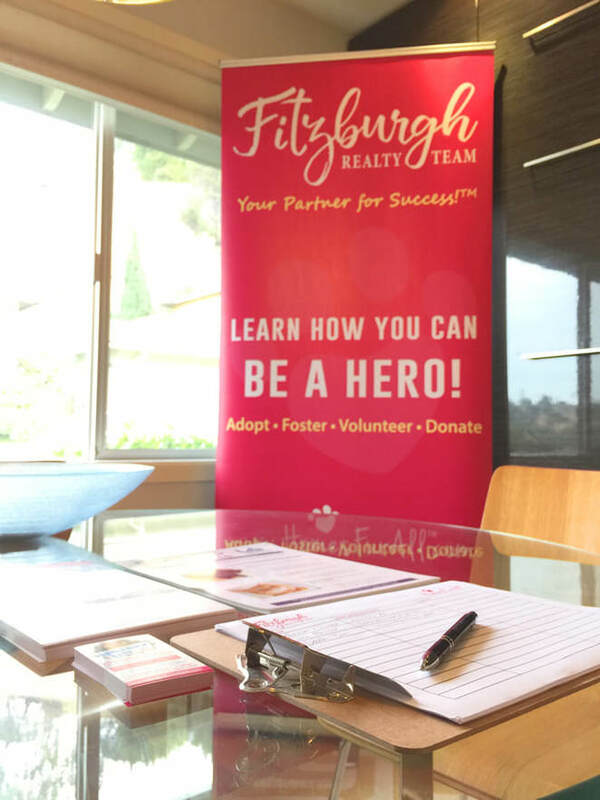 "BE A HERO" MARKETING KIT! This marketing kit is designed to help rescue animals and grow your business at the same time! There is a new paradigm in the world of animal shelters and the key to the success in saving more animals is to grow the number of generous people that are willing to become foster volunteers. There are many different ways that people can provide foster care. Sometimes only for a short time from a weekend to maybe 4 to 6 weeks! The way that more and more animals are being saved is through a "No Kill Initiative" adopted by city-run or county-run shelters (public entities). The way this initiative works is before an animal is euthanized, the shelter first notifies a network of rescue organizations. The goal is to see if any of these rescue groups are able to "rescue" the animal. Typically, they are successful! ​However, space is limited at each rescue organization. Once they are filled to capacity, they are no longer capable of rescuing additional animals. This is where the foster care comes in. Each animal that can be given to a foster volunteer means one more animal that the rescue group can rescue and save. The more foster volunteers in the network, the more animals can be save - it's that simple! 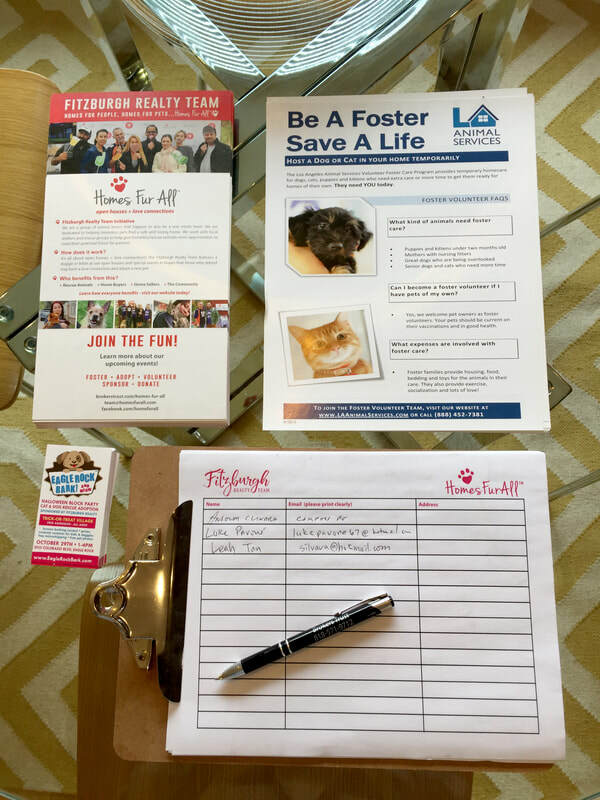 With your help to spread the word, we can increase the size of the foster volunteer network and dramatically increase the number of animals that get saved! 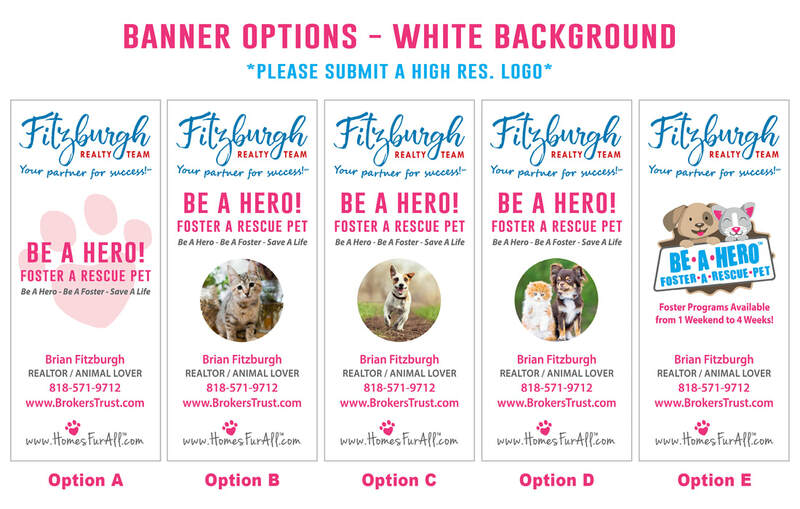 Displaying the "BE A HERO" Open House Kit will enable you to readily communicate your passion to save rescue pets. 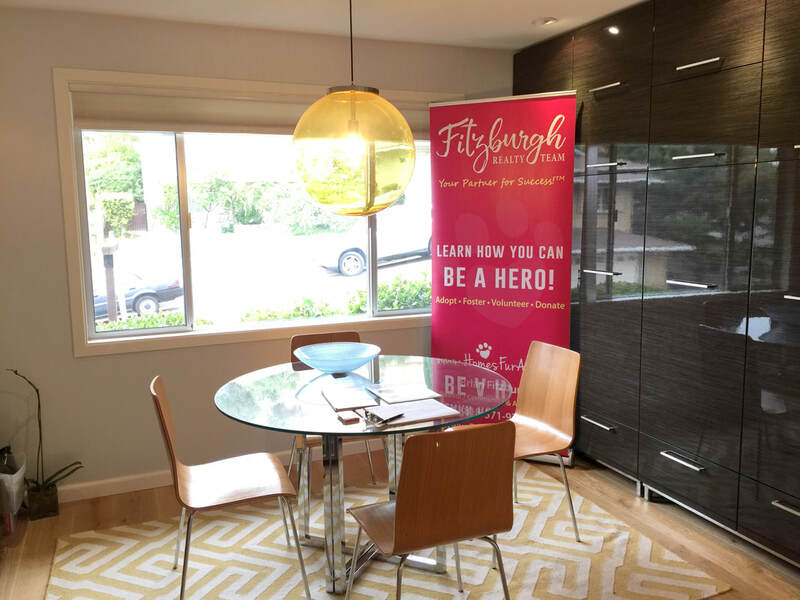 Letting your open house guests see your passion opens up conversations in an amazing way that helps you connect on a deeper level with your open house guests. When you connect with people on a deeper level, you are better able to find clients that want to work with you. You are a great realtor and a great person - I want to work with you! Bring your setup to your open house or event that you are attending. Collect names, numbers and email addresses. The information you collect will be connected with a local rescue or shelter so that rescue animals may be saved! Using your logo, photo, and bio, we will create a comprehensive branded look for all the items listed below. 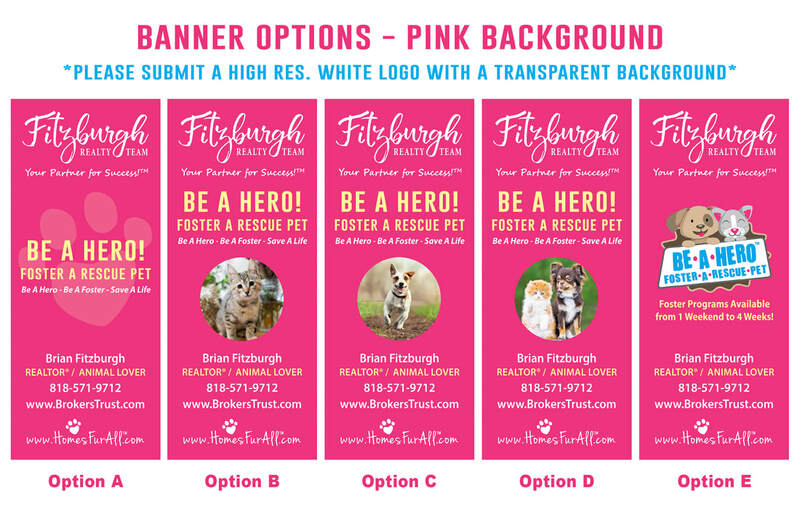 Banners will include information about Homes Fur All and will be branded with your business. Retractable banners includes a convenient carrying case. Banner is 30"x72" and super easy to set up (2 minute set up time). 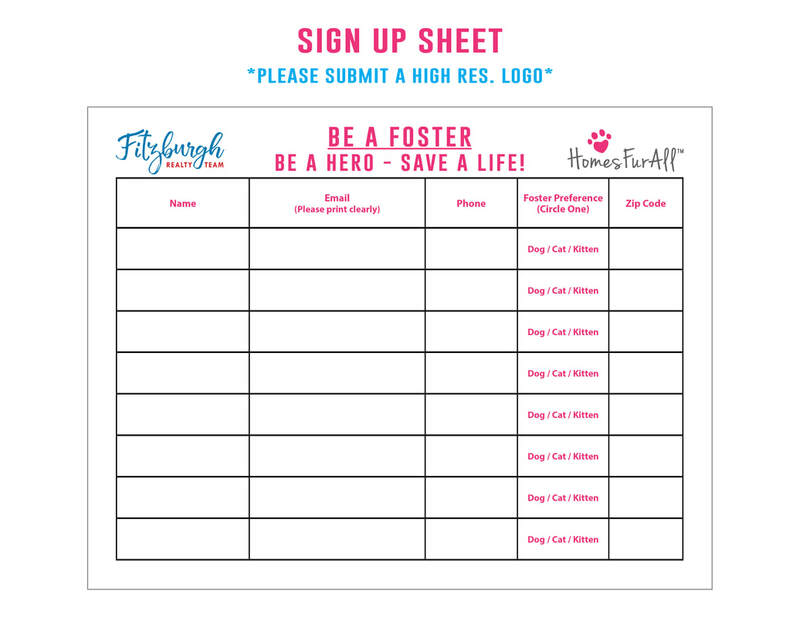 Detailed info on "How to Become a Foster Care Provider for an animal in need". 100 printed copies and an electronic copy will be provided for convenient printing. Includes space for interested parties to sign-in and provide their names, phone numbers and email addresses. ​​You will receive 250 printed copies. 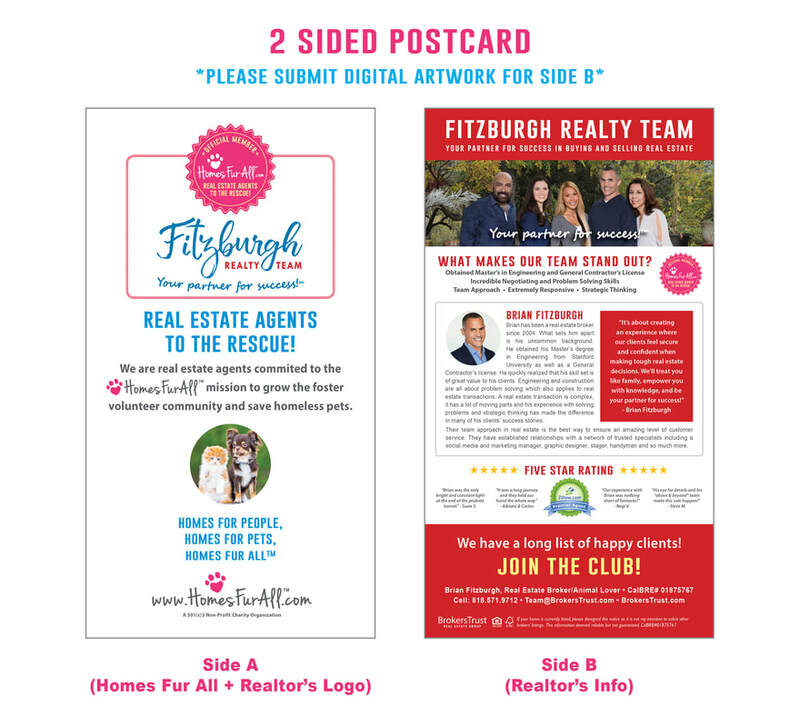 Postcards will include information about Homes Fur All and will be branded with your business. You will receive 250 printed copies. 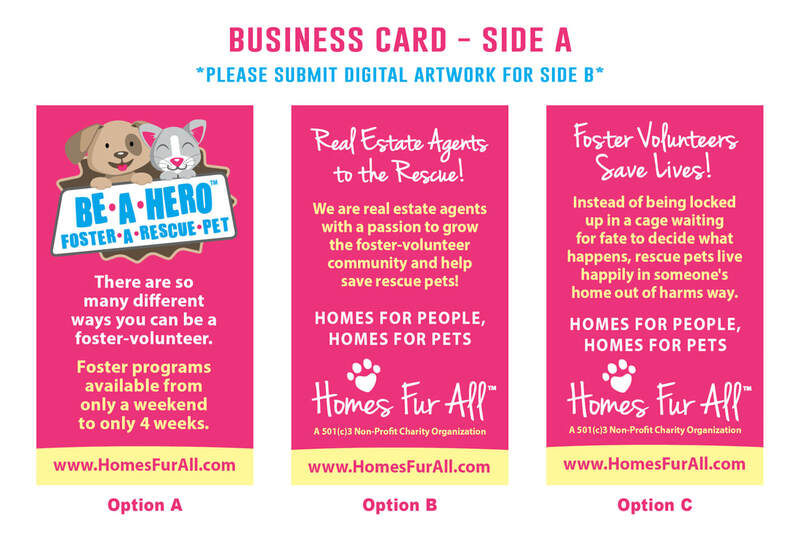 Business cards will include information about Homes Fur All and will be branded with your business. You will receive 250 printed copies. 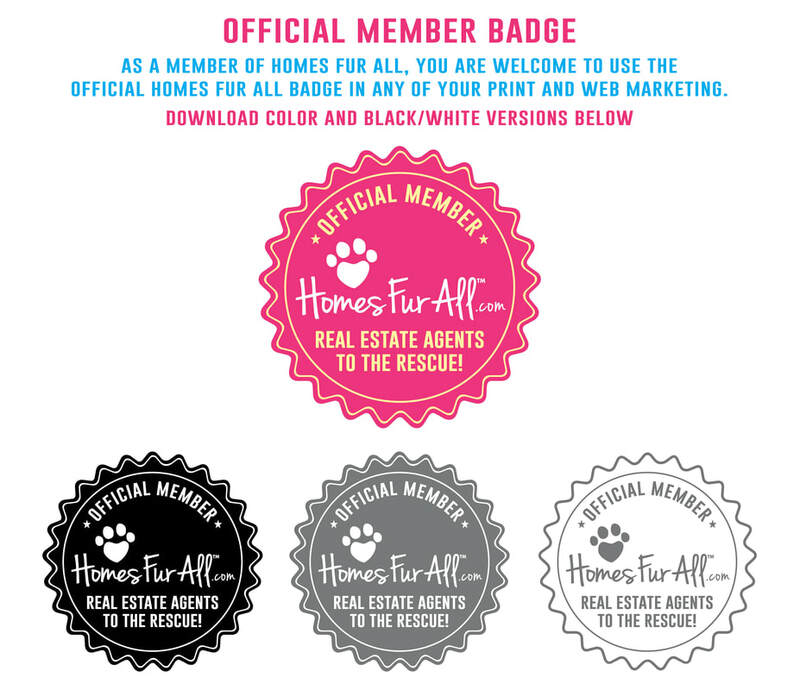 Homes Fur All is a 501(c)(3) non-profit charity organization dedicated to helping rescue pets! 2018 Zillow Premier 5 Star Agent in Los Angeles. Parrish Ave., Los Angeles, CA. CalBRE# 01411131. Copyright © 2018 Brokers Trust Real Estate Group. All Rights Reserved.